Set just fifty metres from the shore of England’s largest and most beautiful natural lake (Windermere), The Imploding Inevitable Festival, now in its 2nd year, plays host to a collection of the finest artists, musicians and poets in the UK at the moment. It prides itself in being one of the few totally independent festivals and reflects this in its ethos and attitude of favouring three main principles: creativity, integrity and originality. It is also one of the UK’s most intimate festivals hosting just 200 weekend tickets; it takes great consideration of the surrounding area being one the UK’s “Areas of Outstanding Natural Beauty”. It is also one of the UK’s least expensive festivals despite its line up, some of which have or are playing this year’s biggest festivals. We are very proud to welcome Hannah Peel, John Fairhurst, Francois & Atlas Mountains, Liz Green, John Stammers, Samson & Delilah, Kathryn Edwards and more to this year’s line up. And that’s before even the poetry has been spoken about! Hosted by Blank Media Collective, a multi-media Arts collective based in Manchester, they are producing a poetry/literature event that is experimental and inclusive in nature whilst also featuring some of the UK’s finest poets. Last year festival goers were involved in composing a huge ‘Exquisite Corpse’ poem [one in which each person submits a line of poetry randomly, based on anything that comes to mind...and completely surreal] and this year promises to be just as weird and wonderful. Tickets are just £35.00 for the weekend, this includes campings! Not a festival to be missed, last year was amazing. 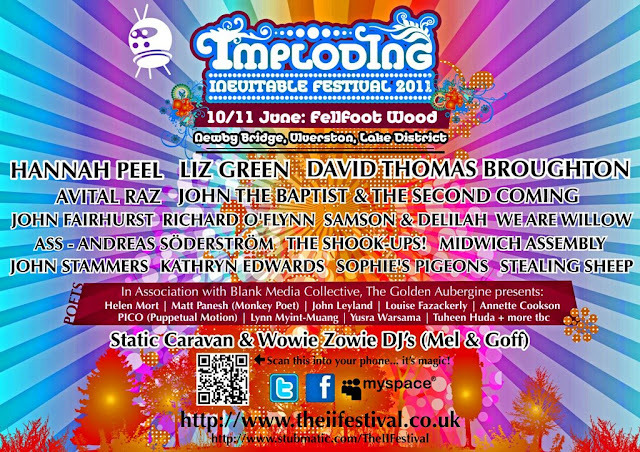 You can check out the festivals website: www.theiifestival.co.uk for photographs, line up and more! 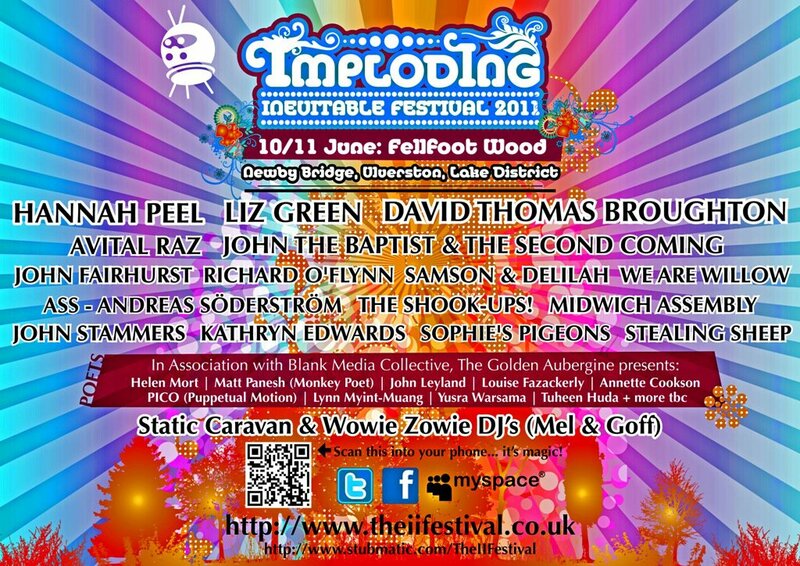 Check the blog too: http://www.theiifestival.co.uk/blog/ where you will find the The II Festival tittering!